Seven research and development projects have received funding to trial short-term generation forecasts at Australian wind farms. The Australian Renewable Energy Agency (Arena) awarded $9.41 million to 11 projects, of which $A6.16 million will go to seven trials at wind farms. It is hoped the projects will more accurately forecast weather to help the Australian Energy Market Operator (AEMO) better anticipate supply from renewables and improve system stability. This in turn could help project operators reduce financial penalties for inaccurate supply predictions. Operators are also occasionally forced to curtail generation to match conservative forecasts. 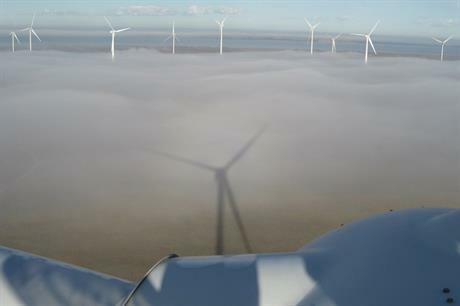 Vestas and analytics subsidiary Utopus Insight received A$410,000 (US$290,000) to develop an energy forecasting solution to be piloted at Infigen Energy’s Lake Bonney II and III wind farms – two phases (159MW and 39MW) of a 278.5MW complex, co-located with a 25MW/52MWh lithium-ion Tesla battery. The pilot project will utilise supervisory control and data acquisition (Scada) data to generate forecasts that use "deep learning" techniques – a subfield of machine learning that deals with algorithms based on self-classification. Arena hopes the deep learning model will be capable of adapting to seasonal variations in weather patterns. Vestas and Utopus will also use hyper-local weather data from two meteorological masts, which they claim will help give more accurate energy forecasts. Energy analytics firm Utopus, which was acquired by Vestas in February 2018, can provide weather forecasts with a spatial resolution of 1km2 – more precise than the typical weather grid resolution of 16km2, it claimed. Windlab will receive A$400,000 to use Lidar (light detection and ranging) measurements to augment Scada data and generate five-minute-ahead wind forecasts. The developer will install two Lidars with portable, remote power supplies, at its 31MW Kiata wind farm in Victoria and at the up-to 1GW Kennedy Energy Park in Queensland. The Lidar installations will measure profiles of the wind speed and direction at one-minute intervals, and then use long-distance WiFi links to the wind farms’ Scada systems to provide measurements fed into forecasting algorithms used in the wind forecasts. Meridian Energy Australia will receive A$2.18 million to combine data-driven and physics-based modelling to develop a five-minute-ahead forecast for its 131MW Mount Mercer and 70MW Mount Millar wind farms. It will incorporate the data gathered into new algorithms to create the forecasts. Arena hopes the project will quantify the benefits of more accurate, short-term wind forecasting. It believes these may be lower costs for consumers and lower greenhouse gas emissions from the whole system, relative to a less well-forecasted system. Advisian Digital will receive A$499,000 in funding to deploy a spatio-temporal machine learning framework that considers data within a single project, lagged variables and external variables such as wind speed and forecasts. The digital consultants will analyse and assess the reliability of different factors contributing to the forecast from wind and solar projects across Queensland and South Australia. It would then be able to adapt the various models being used to improve the prediction accuracy from the data. Advisian hopes improving the accuracy of five-minute-ahead forecasts to the grid can help operators deliver more secure and reliable electricity. DNV GL will receive A$271,000 to prove five-minute-ahead forecasts for RES Group’s 240MW Ararat wind farm in Victoria. It will also assess historical operating data from the project to assess different forecasting approaches. It can then test and optimise these techniques. DNV GL hopes to add accurate, short-term forecasts to the current prediction systems, which it claims can accurately forecast production to 24 hours or more. This would help the operator to better manage reserves and ancillary services to maintain system reliability, and also better schedule day-ahead generation and maintenance activities for the project to minimise downtime. Fulcrum 3D will receive A$493,000 to provide short-term forecasts from Pacific Hydro’s 56.7MW Clements Gap, 80MW Crowlands and 106.8MW Taralga wind farms. It will gather data points such as wind speed and direction, and total generation output, from sensors already connected to the projects’ Scada systems and its own 3D sensing system, which will be installed on a variety of turbine types. Fulcrum claims it will be able to detect changes in wind conditions several kilometres upstream of the wind farm in all weather conditions. This will help the operator to increase the certainty of supply and so reduce market charges for wind farms, and address grid connection barriers. Aeolius Wind Systems will receive A$1.89 million to prepare an advanced Lidar system capable of measuring wind field 15km upstream of AGL Energy’s 420MW Macarthur site in Victoria. It will integrate output from two Lidar units and associated data processing and communicative electronics systems, and validate predictive capability of each unit before installation at the 420MW site. Aeolius will further carry out a cost-benefit analysis to clarify the value proposition of the technology to customers in the forecast, greenfield development and repowering market sectors. It hopes the project will remove the need for developers to install multiple masts to collect data. The company also hopes it will help improve understanding of local flow field dynamics so developers can optimise turbine positioning to increase production.